I help women realize their worth so they can experience success, increase their income & attract wealth. mindset to attract more wealth and success in your life. You'll also receive success & wealth tips delivered to your inbox each week. We'll never spam you and you can unsubscribe at anytime. 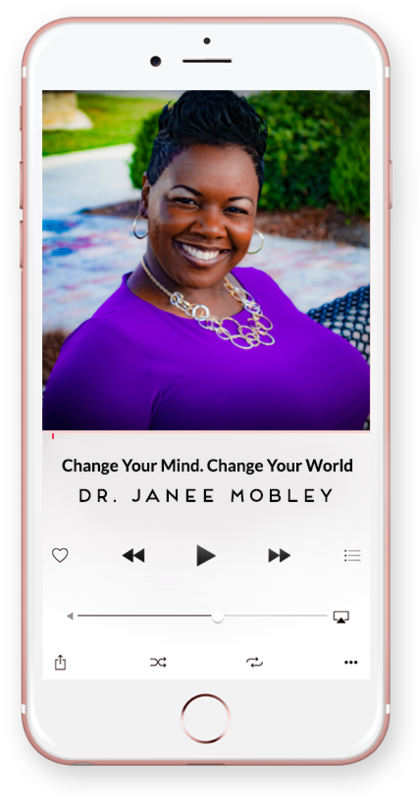 WELCOME TO Dr. JaNee.com, WHERE YOU'LL BE EMPOWERED TO PROSPER! Are you tired of existing in a life of mediocrity? Are ready to have more money at the end of the month? Do you want peace, profit and a life of true purpose? Well, Welcome to the Dr. JaNee’.com, where you’ll be empowered to prosper! Peace encompasses eliminating fear, boosting your confidence and increasing your self-esteem. Profit encompasses knowing that God wants you to reap the benefits of wealth. He wants you to learn how to obtain wealth, and most importantly, how to create a healthy relationship with money. Purpose encompasses purpose discovery. This principle is all about finding your gift, discovering why you are here and living a life of true fulfillment.